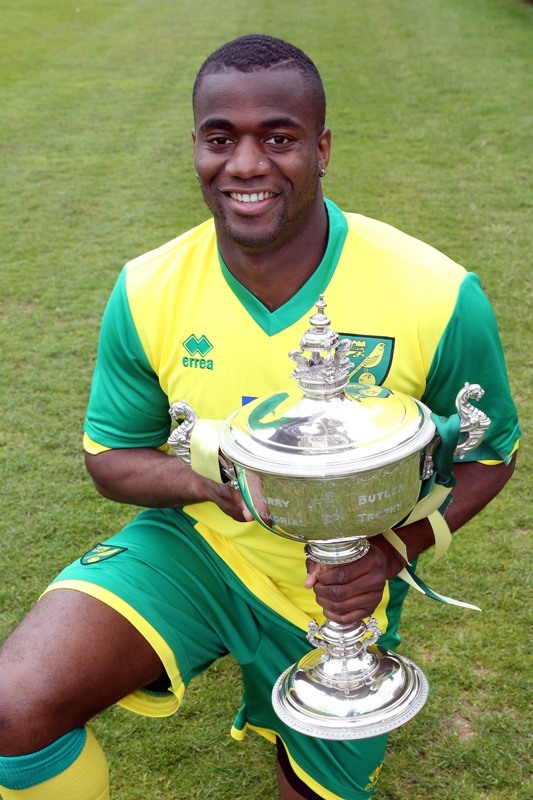 Only two weeks ago, Norwich City were staring relegation in the face, desperately fighting for their survival, but following last week’s drubbing of West Brom, the Canaries have been in a flamboyant mood, smashing in yet more goals. 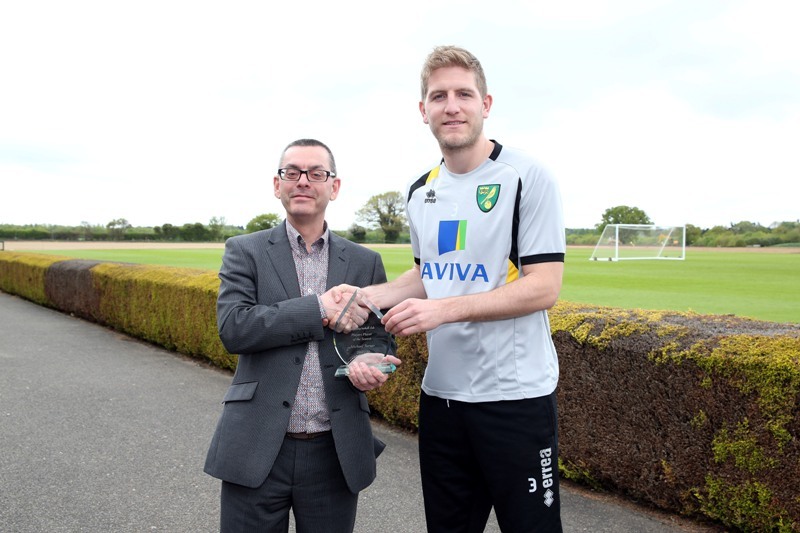 On Friday, Sebastien Bassong was named the Anglian Home Improvements Player of the season, with Robert Snodgrass coming a close second and Bradley Johnson third. 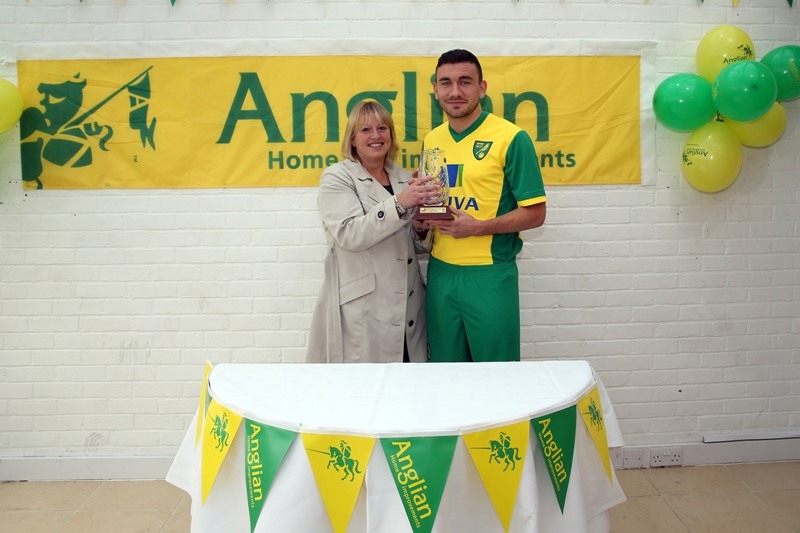 Robert Snodgrass was second placed player of the season. When the fixtures were announced, few people thought the final fixture of the campaign against Manchester City at the Etihad stadium would be a victory for the visitors. How wrong were they! Norwich dominated for large periods of the game and took the lead through Anthony Pilkington. The ball was fed through to him just inside the penalty box and he did well to turn and curl it into the bottom right corner of the net. The lead didn’t last long though as Jack Rodwell cancelled out the opener, with a very similar goal to Pilkington’s, but Rodwell smashed it into the net emphatically. Norwich regained the lead early in the second half through captain Grant Holt. Snodgrass created space down the right and his low ball into the box was met at the back post by Holt for an easy tap in. Again Manchester City fought back and again it was Rodwell providing the goal. He picked up a long ball from Toure and outpaced Whitaker before firing into the net. The winner for Norwich was a superb individual piece of skill from Jonny Howson, who has now scored two quality goals in two consecutive games. He picked up the ball on the halfway line, weaving in and out of at least four defenders. His low shot to the left of Joe Hart nestled beautifully in the bottom right corner of the net, sealing 3 points for Norwich and helping Chris Hughton’s men finish one position higher than last season, 11th in the Premiership. Michael Turner was awarded with the Player’s Player award.